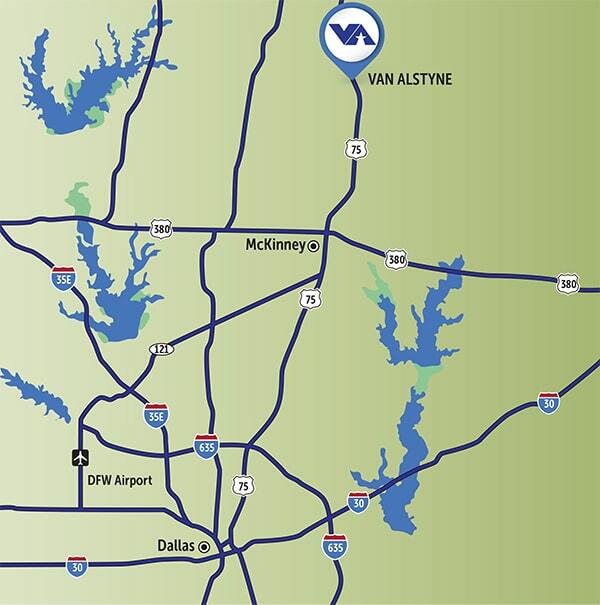 Van Alstyne is located 15 minutes north of McKinney and 15 minutes south of Sherman, Texas. We are one hour north of downtown Dallas. Our office is located in downtown Van Alstyne at 228 E Marshall St., Van Alstyne, TX 75495. Give us a call or send us an e-mail.